WE'RE MARKING THE 2015-16 academic year by setting up dozens of blogs with sports management and strength and conditioning students in the Limerick Institute of Technology. I'm using this blog post to list the ones I've spotted in my Google Alerts. 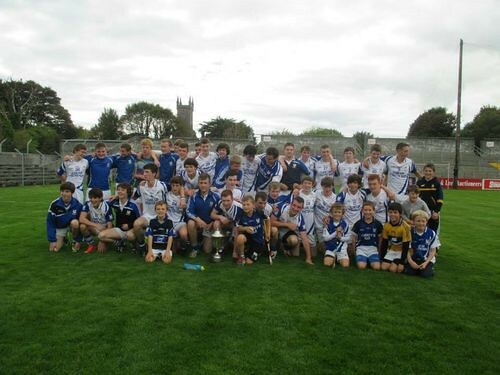 Photo from Padraig O'Connor of Kilmaley Minor Final. These blogs were started in 2015 as part of the two separate degree programmes offered by the Limerick Institute of Technology, one in Thurles and another in Moylish Park. Hopefully, some of these blogs will offer sports insider news, information about sports business deals and some perspective on effective sports marketing. These topics are as important to aspiring sports managers. 1. Masters in Sports Management -- "25 Best Sports Business Blogs", January 24, 2011. 2. Mark Burns -- "10 Must-Follow Sports Marketing Blogs" on Sports Networker, August 29, 2012.